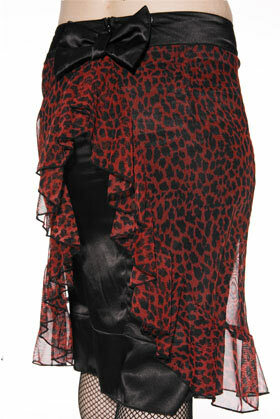 Description This cute knee skirt from our friends at Rock Steady features a leopard printed stretch poly fabric over a smooth polyester black skirt. The bow on the back snaps down to cover the rear zipper. 85% Polyester 15% Spandex.